Moore goes on to hit his usual targets–Republicans, greedy insurance companies and conservative think tanks. He also mocks the term “affordable” in the reform’s official name, citing the costs an average family might incur under the new system. I believe Obamacare’s rocky start — clueless planning, a lousy website, insurance companies raising rates, and the president’s telling people they could keep their coverage when, in fact, not all could — is a result of one fatal flaw: The Affordable Care Act is a pro-insurance-industry plan implemented by a president who knew in his heart that a single-payer, Medicare-for-all model was the true way to go. 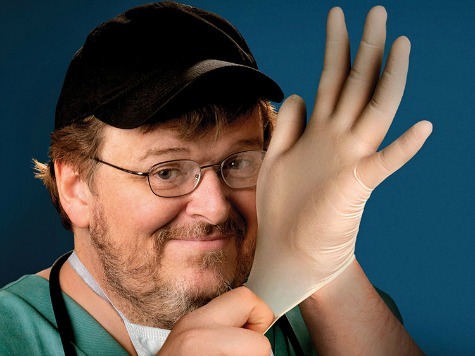 Moore, who once blasted America’s health care system while trumpeting the Cuban model in the 2007 documentary Sicko, pins his hopes on a single-payer system to be attempted in Vermont that he claims will be a model for the nation to follow.